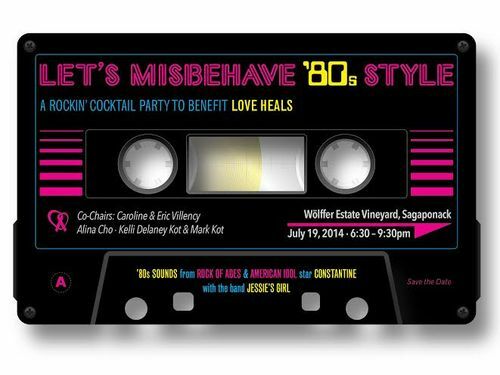 A rocking cocktail party to benefit @ The Wolffer Estate. Co Chairs Caroline & Eric Villency, Alina Cho,Keli Delaney, Ko & Mark Kot. 6:30 pm-9:30 pm. *0s style cocktail party to benefit Love Heals.